Do you have a bunch of pictures saved on your Windows 10 computer? It’s really easy to view them in a slide show, full screen. There are lots of ways to view the images stored on your computer. 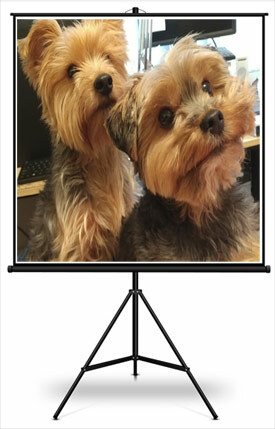 You can see them on your actual monitor, you can connect your computer to your large screen television, or you could even connect a projector to your laptop and put them up on a big screen if you want. But you still need a way to have the pictures rotate one after the other without your having to manually open one, close it, then open the next one. All of them should display in order, automatically. 1. Go to your Pictures folder, then open a sub-folder of pictures that’s in there (or you could just view pictures that are in the root level of your Pictures folder). Ideally, your pictures will be sorted into folders such as a particular vacation, or Christmas, or an event you attended, that kind of thing. 2. Click one time on one of the pictures in the folder. 3. At the top of the window, look for the “Manage” tab and click on it. Then click “Slide show”, and just sit back and watch the show! You know when I find things like this the most useful? At family events, such as birthdays, wedding receptions, or funerals. You can hire a company to create a slide show with an audio soundtrack for you, and spend a few hundred dollars. Or you can use the process outlined above – put all your chosen pictures in a designated folder, and play the slide show while your music plays from iTunes or a few mp3 files that you have picked from what’s stored on your computer. It works wonderfully and costs you nothing.